Though the last 80 years have seen much change for this iconic brand, they chose to embark upon a new adventure in the digital world where there are no boundaries. They were faced with opportunities which force them not just to remain relevant, but to seek out new ways to compete on a global stage. We all have different ideas of what innovation means, and for R.M.Williams it has truly been about the creation of a service that will create value for our customer and also for our business. R.M.Williams has several innovation initiatives in development at present. These initiatives are each designed to use technology in a way which will make the lives of their customers and those that serve them better. 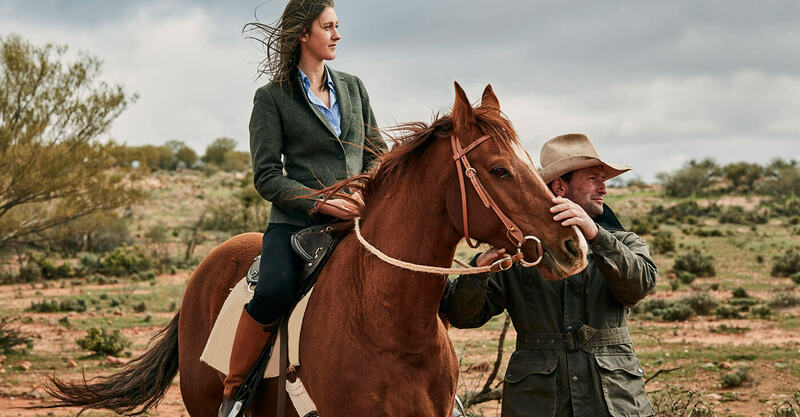 R.M.Williams himself was innovative in the way he crafted a boot from one piece of leather, so this theme stays true to the inherent characteristics of the brand. The key purpose of their innovation strategy was to enhance the brand and product experience for their customers. They often use technology to provide more information about their brand and their products, so the customer can easily make a purchase decision. R.M.Williams also use technology to improve the fit of their product so that they can continue to deliver on the founding R.M.Williams belief that they could make a special pair of boots to suit every individual person. 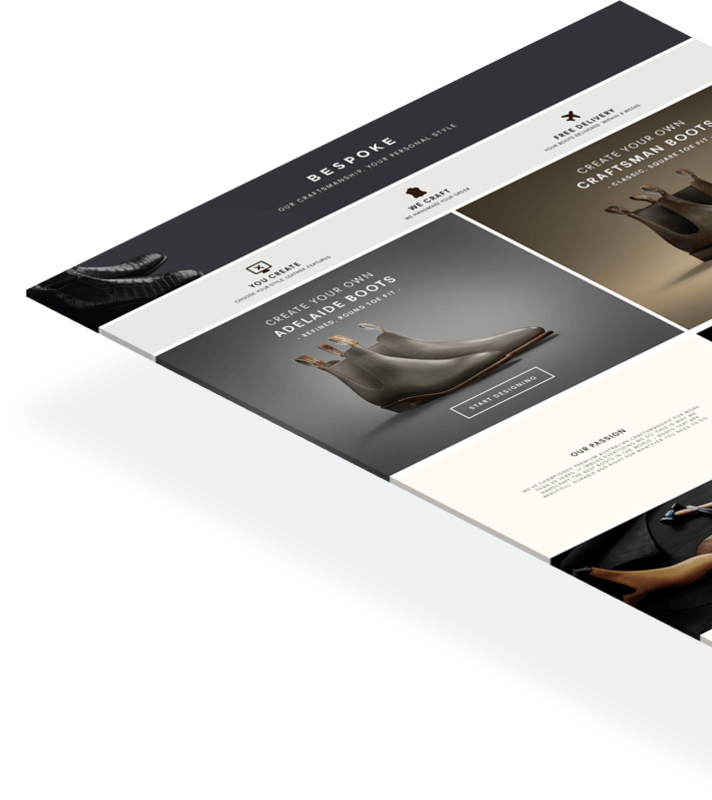 The bespoke application is as its title suggests: one of a kind, customised and optimised for the R.M.Williams brand and the level of craftsmanship that their customers have come to expect from them. 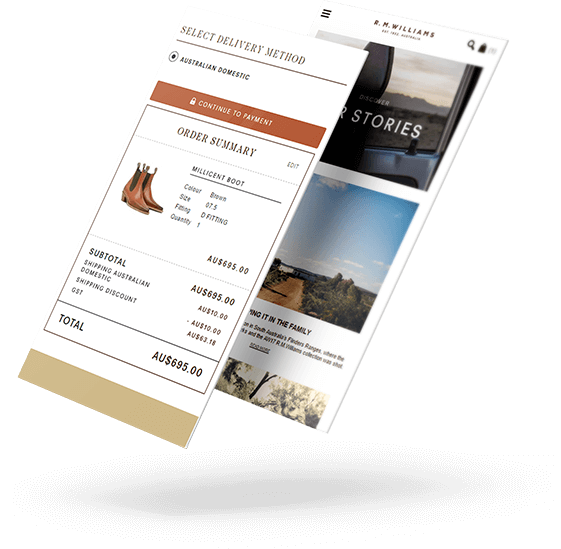 Whether the application is used in-store with a trained bespoke associate or online, it provides an experience that allows the customer to create a custom pair of boots from tugs down to sole. The Bespoke offering has been so successful that R.M.Williams are already in the process of rolling out an extension of the offering. The new offering will provide customers with the ability to customise products at a more accessible price point, such as belts. This allows the custom the option to match their bespoke belt to their bespoke boot! R.M.Williams are also in the process of testing a monogramming service for personalised crafted leather goods. With their strong gifting business they believe offering this service at no extra cost will give them a competitive edge in the global market. Another key business innovation is the development of a foot scanner which will enable them to design and craft the perfect boot for the unique characteristics of each foot: left or right. 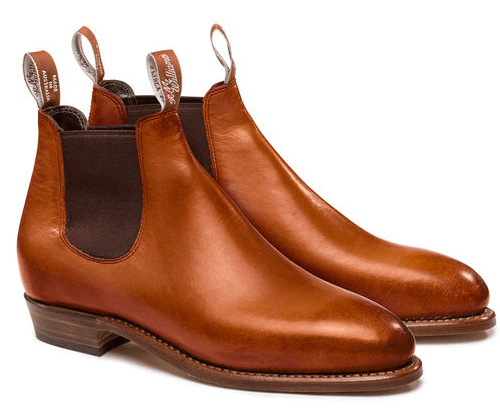 By end of January 2017, R.M.Williams had sold a total of 206 Bespoke boots. That’s nearly one a day since the product launched at the end of May 2016. On average they generate nearly $1,000 per bespoke boot transaction for the business. In less than one year they doubled their return on investment. The customer, staff and industry have responded to this heritage brand’s innovation with overwhelmingly positive feedback and have provided quantifiable evidence for future investments at a CEO and investor level. 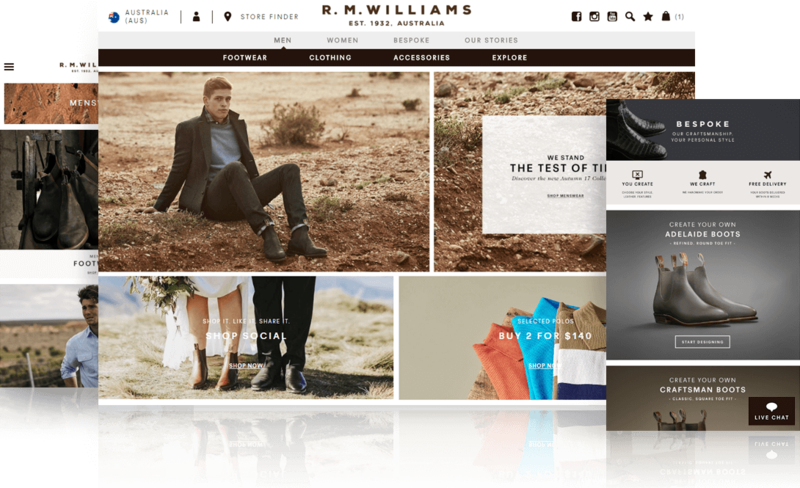 With a target of 20 Bespoke boot sales per month, R.M.Williams exceeded that target by 50%. The biggest challenge faced by the brand was how they could condense an 82 hand and machine crafted process into a positive and customisable product experience for the customer. Since we already offered a Made to Order service in-store, it came down to simplifying the process. They focused on the key elements in the construction of the boot to get this right. Initially, R.M.Williams had focused on making social engagement easily accessible, so they had placed their social sharing icons higher up on their responsive design. They soon realised that these icons took up valuable space at the top of the page, where it was more important for the user to interact with navigation and selection, rather than social. These little changes made a big difference to the overall responsive customer experience both in the online and offline environment. The main barrier face by R.M.Williams was how to make a physical product experience translate successfully into a digital environment. 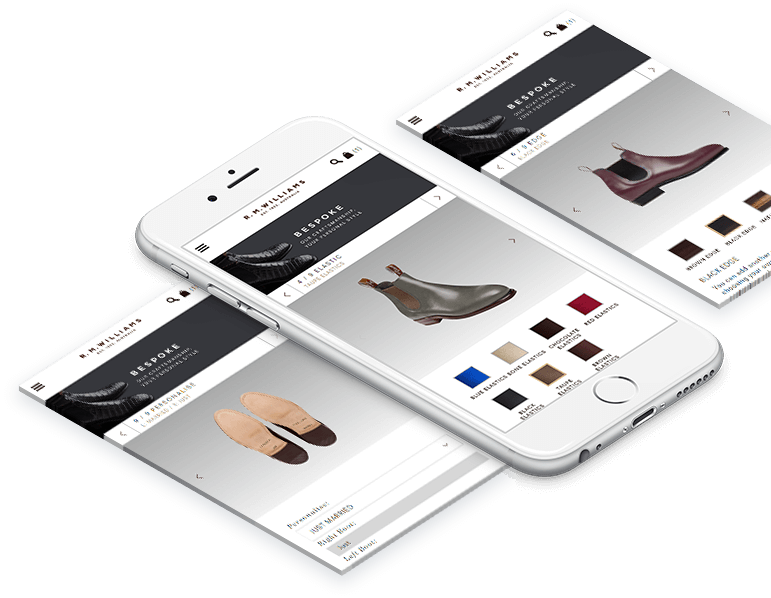 While the offline experience would be supported by a trained in-store Bespoke Consultant, they also had to consider that any online user would need to understand the key components of our boot design, so that they could easily make their personal selections. With focus on the key elements in the construction of the boot, they were able to overcome this barrier. 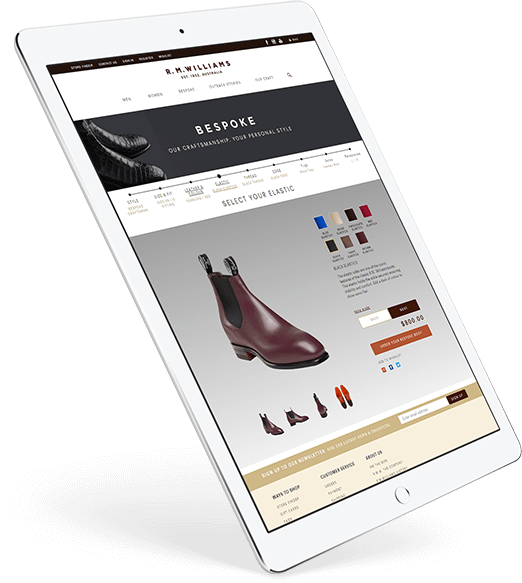 Our new offering not only allows us to showcase our iconic products but is a strong foundation as we evolve our omnichannel offering. For more information, click the button below.